Life is busy and one of the ways we relax and take a small break as a family is by going out to eat; the break from prepping and cleaning up meals is a welcome treat for my husband and I. More important than that is that each of us truly enjoys the experience of dining out together. Chela’s Mexican Grill invited us to come experience their new menu; we quickly learned that dining at Chela’s is about way more than the food. 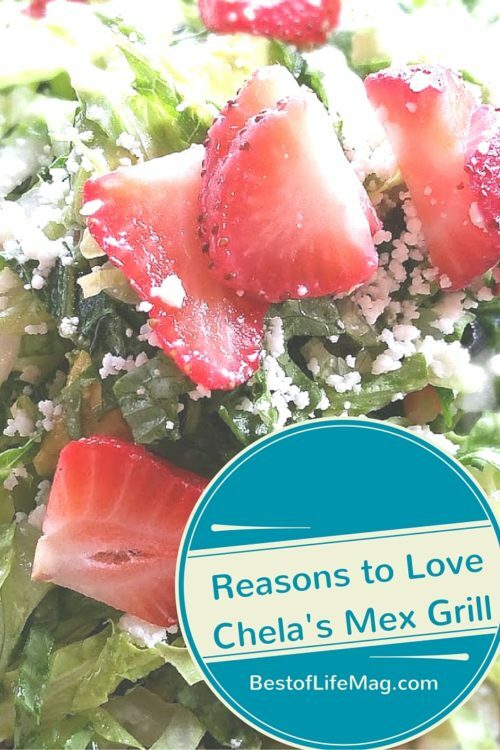 There is a lot to love about Chela’s Mexican Grill in Southern California. 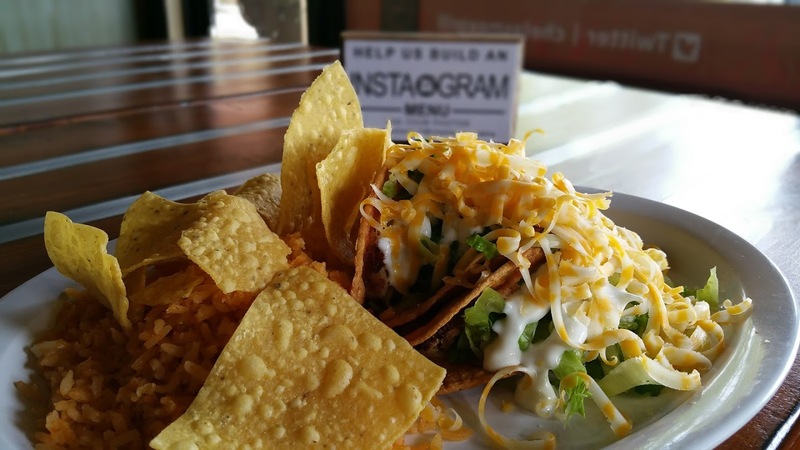 Chela’s Mexican Grill has been around for many years and has long been on everyone’s radar. However, a revamp of the menu and decor has made Chela’s even better. One of the best aspects of Chela’s is what they use in their food and their recipes; fresh ingredients, every day. 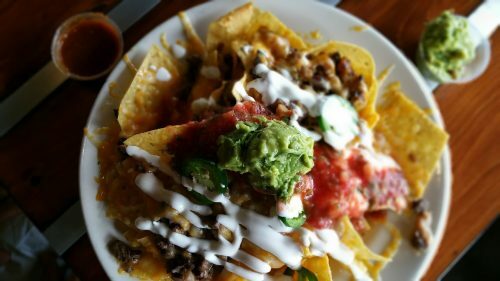 While many places in Orange County claim to use fresh ingredients, Chela’s also knows how to use them properly. The proof is seen in all of their dishes when you order. The MVP Breakfast Burrito is a popular dish that has a huge fan base behind it because of this. I personally love a great salad and so appreciate knowing I can get one loaded with the best quality vegetables when I dine at Chela’s. Food has long been a great way to connect with people from different cultures and backgrounds than yourself. Karla and Art, the owners of Chela’s know and show this within every dish on her menu. Through her food, you get to experience a bit of history as they share the dishes they made together over the years with Art’s, Roselia. It’s where tradition meets the modern twist that Art and Karla have put on all of the dishes at Chela’s Mexican Grill. When food tells a story, it connects people together and people to it at a deeper level; it is clear when you dine at Chela’s that the guests feel that. There is little better than feeling like you’re at home at a restaurant, even if it’s your first time. From the moment we entered, everyone at Chela’s made us feel like we were part of the family; it was fun to see others feel that as well and see the smiles on people’s faces who we just knew were “regulars”. 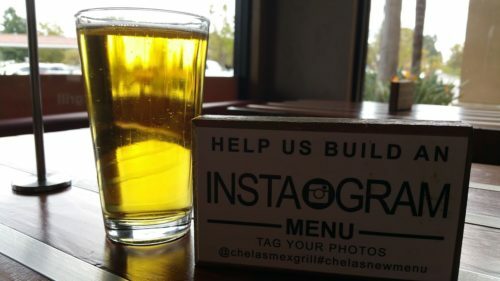 Plus, It’s always an added bonus to connect with businesses on social media as well so I was thrilled to see all of the signs around Chela’s inviting people to connect and share their foodie passion on social media. Along with the fresh food, good friends and great stories you can enjoy a cold beer. Whether you’re having fish tacos or street tacos with fresh, hand-grated cheese you can pair it with a great beer. The drink menu is part of that story Chela’s tells so when you do visit and want to order a beer don’t just ask for a beer. Instead, ask for a Chela of “Primo pasame una chela”. We love dining out as a family so finding restaurants where we feel welcome as a family is very important to all of us. 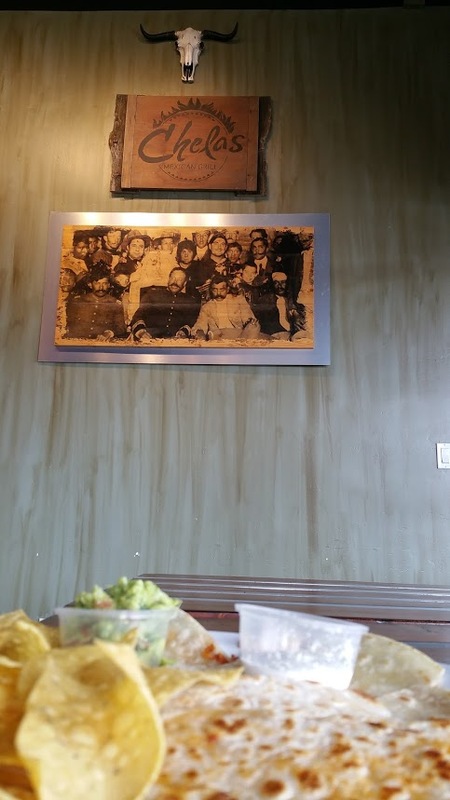 At Chela’s Mexican Grill you instantly feel that everyone is welcome and you will feel right at home dining with them. We felt incredibly comfortable as a family and could let our kids be kids while we all relaxed over great food. One of our personal favorites you should be sure to try at Chela’s Mexican Grill is their nachos. Oh. My. Yumminess!